When my Grandmother Stila M. (Harlan) Gleason passed away on May 7, 2002, not only did we lose the family matriarch but we lost the our family historian. 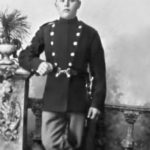 I had been dabbling with the family tree for a couple of years and but hadn’t really delved into researching and documenting the life stories of individuals. 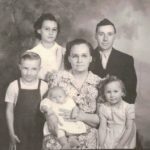 I decided someone should document our family’s history to preserve it for future generations and so began my adventurous journey, as an amateur genealogist, the search for Uncle Walter Stiles and the discovery of an interesting life. Walter Stiles was born in Chicago, Illinois, in October of 1867, the second child and son of George Washington and Mary Jane (Cunningham) Stiles. Walter’s father was born in Cape Breton, Nova Scotia and his mother in New York. The family remained in Illinois until the late 1870s and then headed West to Dickinson County, Kansas. The family would remain in Dickinson County until 1889, when George Sr. headed west to Washington and Idaho. The family, including wife Mary, along with Walter, Albert and daughter Emma, would soon follow. Oldest son George Jr., remained in Kansas, until 1891. The family had settled in Idaho; when George Jr. and his family joined them. 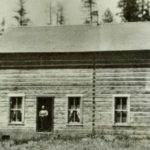 The family settled in an area which was then Shoshone County, it would become part of Clearwater County, in 1911. Several members of the Stiles family filed homestead claims, including Walter. Walter’s land patent is dated January 28, 1900, for Twp/Rng 036N-004E, portions of Sections 13 & 14. Walter appears to have dabbled in ranching, while also mining in Pierce City, with his brother Albert. 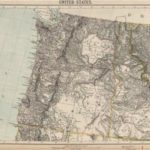 Toward the end of the nineteenth century unrest surrounded the mines in Northern Idaho. In the 1880s the miners organized and formed several local unions. The mine owners answered by forming the Mine Owner’s Association. There was a labor dispute and an uprising in 1892, which resulted in the Frisco Mill being blown up. Desperate Battle in the Coeur d’Alene Regions. CONFLICT BETWEEN UNION AND NON-UNION MINERS. The Frisco Mill Blown Up With Dynamite During the Fight–Four People Killed and Ten Wounded So Far as is Known, Although There May be Bodies Underneath the Wrecked Mill. WALLACE (Idaho), July 11.–The strained situation in the Coeur d’Alene labor troubles culminated this morning between 5 and 6 o’clock. Among the events of the day previous were challenges from the non-union men at the Frisco and Gem mines to the union miners at the town of Gem, and all seemed to indicate a speedy rupture. They scattered and a regular battle ensued. 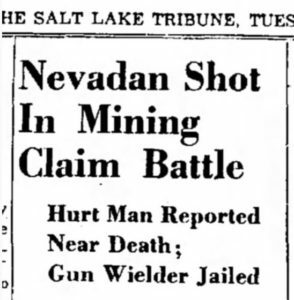 One miner and one non-union man were killed and perhaps six wounded during the engagement. Then Governor Norman Bushnell Willey, called in the Militia and declared Martial Law and Military rule would last for four months. In 1899 there was another uprising and a labor confrontation at the Bunker Hill Mining Company. On April 29 union members commandeered a train in Burke. The train continued through Burke Canyon, making stops along the way, to load passengers and cargo. The cargo being approximately three thousand pounds of dynamite, which was detonated at the site of the mill of the Bunker Hill mine. Wardner Idaho, Again the Scene of Outrage. Union Miners on the Warpath With a Vengeance. One Man Dead, One Dying and Much Property Lost. Quarter of a Million Dollars Damage Done. Strikers’ Sympathizers Did the Dastardly Work. Through Mistake They Fired Upon Their Own Pickets. A DEADLY LABOR WAR BEGUN. “Wardner had today the scene of the worst riots since the deadly labor war of 1892. One man is dead, another is thought to be mortally wounded and property valued at $250,000 has been destroyed by giant powder and fire. The damage was done by union men and sympathizers from Cañon Creek, about twenty miles from Wardner. “This morning a mob of 800 to 1000 men, all of them armed, and many of them masked, seized a train at Burk, the head of Cañon Creek. There were nine box cars and a passenger car, and they were black with the mob. The visitors brought with them 3000 pounds of giant powder. “After a parley of two hours, 140 masked men, armed with Winchesters, Busk in the lead and Warner following, started with yells for the Bunker Hill and Sullivan mills, and other buildings a third of a mile from the depot. They sent pickets ahead and one of these pickets fired a shot as a signal that the mill was abandoned. This was misunderstood by the main body of the mob, who imagined that non-union miners in the hills had opened fire on them, and they began firing on their own pickets. About 1000 shots were thus exchanged between the rioters and their pickets, and Jack Smith, one of the pickets, formerly of British Columbia, and noted figure in drill contests, was shot dead. 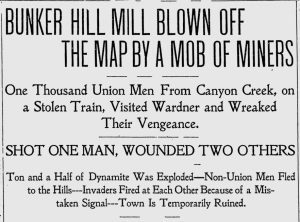 …A Times special from Spokane says that 600 miners from the Burke, Gem and other Idaho mines, heavily armed and masked, marched to the Bunker Hill and Sullivan mine at Wardner, owned by the Standard Oil people, today. …The present strike in the Coeur d’Alene mining district in Northern Idaho was inaugurated about ten days ago, and is directed principally against the Bunker Hill and Sullivan mine at Wardner, where non-union men are employed. Two men were killed, as a result and Paul Corcoran was charged with the murder of James Cheyne and ordered to stand trial. Walter, along with several other local area residents including Job Snyder and Dan Carr, were selected to hear the case. The jury handed down a conviction and Paul Corcoran was sentenced to 17 years at hard labor in the Idaho State Penitentiary. Paul Corcoran was pardoned and released from prison in 1901. The Governor of Idaho at the time of the 1899 uprising was Frank Steunenberg, he was assassinated, after he left office, in 1905. Harry Orchard, a former miner, associated with the Western Federation of Miners (WFM) was arrested, convicted and sentenced to death, for the crime. Orchard’s death sentence was commuted to life in prison; where he spent the remainder of his life. During the early 1900s Walter traveled to Alaska several times on prospecting trips. One of these trips took place in the summer of 1906. In September of 1906, Walter and a group of miners, were camped at Tyonek, Alaska, when Dr. Frederick Cook and Edwin N. Barrill returned from Mt. McKinley declaring they had reached the summit of the mountain. A member of Walter’s party, Curtis Hanse, carried the cablegram announcing the ascent to Seward, for publication. On October 4th of 1909, Edwin N. Barrill made an affidavit at Tacoma, Washington stating he was the only person present with Dr. Cook when he claimed to have reached the summit of Mt. McKinley and Dr. Cook’s claims were false. Walter filed an affidavit defending Dr. Cook; in doing so Walter made national news, including The New York Times. Dr. Frederick A. Cook’s reputation would never recover and he was branded a fraud and legal problems, would continue to mount. Born in Callicoon Depot, N. Y., June 10, 1865, Cook First became a figure of interest when he served as surgeon with a Belgian Antarctic expedition, 1897-1899. In 1901-1902 he served in the same capacity with the Peary Arctic expedition. As an independent explorer, Cook led expeditions to Mt. McKinley from 1903 to 1906 and in the last year claimed to have made the complete ascent, though in the light of later experiences the veracity of this claim has been doubted by some scientists. His next great undertaking was an Arctic expedition, and in 1909 he returned to civilization and claimed to have reached the North Pole on April 21, 1908. On the strength of his claims he was much feted and thereafter lectured extensively through this country and England, speaking chiefly about North Pole experiences. Later investigations showed that Cook’s claims were false and the honors that had been given him were thereupon withdrawn and given to Robert Peary, under whom Cook and served in an Antarctic expedition. Peary actually discovered the North Pole on April 9, 1909. Dr. Cook died on August 5, 1940 and is buried the Chapel of Forest Lawn Cemetery, in Buffalo, New York. Walter along with his younger brother, Albert would continue prospecting; following gold would lead them to Clark County, Nevada. In 1920, the U.S. Census shows Walter and Albert living in Beatty, Nye County, Nevada. The Stiles brothers would lease the Techatticup Mine, located in the Eldorado Canyon, from 1917 to 1930. 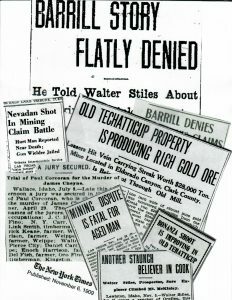 Walter and Albert struck gold in June of 1927; according to the book “Nevada’s Metal and Mineral Production (1859-1940, Inclusive), the Stiles brothers produced 3,437 tons of ore, valued at $81,798.00 during those years. The 1930 U. S. Census, shows Walter and Albert were now living in Nelson, Clark County, Nevada. They are listed as living at No. 10, Techatticup Mine, among their neighbors listed is Willett Barton, No. 14, Rand Mining Company. Willett is listed as the head of household and one of his boarders is George W. Harlan, age 22, the nephew of Walter and Albert. It isn’t known how long nephew George spent mining with his uncles, in Nevada. However, it is interesting that Walter, Albert and Willett H. Barton are living in close proximity to one another. Walter and Willett obviously knew one another and quite possibly had business dealings, as well. 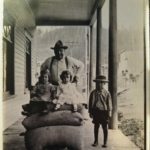 Sometime before 1935, Albert moved back to Clearwater County, Idaho and by 1940 was living in Mead, Spokane County, Washington, with his nephew Harry Q. Stiles and family. Albert would die on April 4, 1943 and his cremains were interred at Hill Cemetery, in Orofino. Walter remained in Clark County and continued mining, for the remainder of his life. In 1938, Walter, by now in his mid-sixties was still working as a miner in Clark County. On August 21st, Walter, along with Fred Colton and Bill Douglas were attempting to locate a claim and in the process were accused of “claim jumping” by Walter’s former neighbor and friend, Willett H. Barton. Shots rang out and Walter was mortally wounded, Willett H. Barton was arrested and carted off to jail. LAS VEGAS, Nev., Aug. 23 (AP)–Walter stiles, sixty-nine, died in a hospital here last night of bullet wounds he received Sunday in what officers said was a dispute over a mining claim at Searchlight, fifty miles southeast of here. Following the death, District Attorney Roger Foley said that murder charges will be filed against Willett Barton, former friend of Stiles who has been held in jail since the shooting. 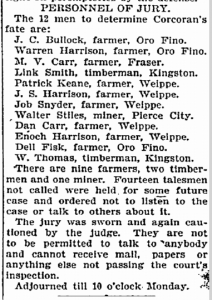 Foley asserted that Fred Colton and William Douglas, young miners working on the disputed claim at the time of the shooting, said Stiles was not associated with them but was present as a friend and was an innocent victim. The claim in question, Foley said, had been held for years by Barton, Colton and Douglas, however, alleged that no work had been done or notice of intention to hold filed since 1935 and that they located the claim legally. Willett H. Barton was a well known miner in the area and had served as Justice of the Peace, in Searchlight. Willett came to Nevada shortly after his marriage to Bertha Marvin, in June of 1904, in Fort Collins, Colorado. He and wife Bertha would have three daughters, Wilberta, Kathleen Lois and Florence, prior to their divorce. On December 24, 1938, Willett H. Barton was acquitted of the murdering Walter and became a free man. LAS VEGAS, Nev., Dec. 24. (Special)–Willett Barton, former justice of the peace at Searchlight, was acquitted today on charges of assault with intent to kill. The complaint was the result of a dispute over mining claims in the Searchlight district, and originally Barton was charged wit murder. It is impossible to know, if Walter’s family had been in Nevada and actively involved in seeking justice, would the outcome of Barton’s trial have been different? It is also unknown if Barton’s former position as Justice of the Peace, had any influence with the judge and jury, hearing his case. Walter Stiles was laid to rest, in an unmarked grave, in Woodlawn Cemetery, in Las Vegas, Nevada. After Walter’s death, Willett H. Barton remained in the Searchlight area until his death in 1952. Senator Harry Reid, a native of Searchlight would later mention both Willett and Walter, in two of his books, documenting the history of the area. Senator Reid’s childhood memories of Barton, seem to imply that although he was acquitted, his reputation never recovered, after he shot and killed Walter. I spent over twelve years searching for clues on what happened to Uncle Walter. I wrongly assumed he had most likely spent his golden years in the Spokane area, with his brothers George and Albert. The trail went cold after the 1930 census and no one in the family ever mentioned Uncle Walter, or much about the Stiles family, in general. Walter’s sister, Emma, my great-grandmother died young and her oldest child, George W. Harlan was only four-years-old, at the time of Emma’s death. Daughter Stila, told many a family story during her lifetime but I never remember her mentioning any of her uncles, on the Stiles side. It was only recently that I learned Uncle Albert Stiles ashes were inurned at Hill Cemetery, in 1966. Uncle Albert died in 1943, meaning his ashes were probably stored on a shelf, somewhere in Grandpa and Grandma Gleason’s house until that time. 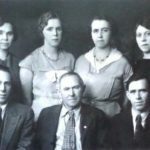 There is still a lot of missing information about our Stiles family roots but in finding Uncle Walter, I found a family member who not only lived during the time of many exciting events in our country’s history; he was an active participant in many of them. Uncle Walter may have been a long forgotten story in our family lore but he definitely left his mark on history and he most certainly led an eventful life. A special thanks to Senator Harry Reid and all of the people of Clark County Nevada for helping me solve the family mystery and find Uncle Walter.